I was SUCH a morning person when I was a kid. As I've gotten older, I began to find less and less enjoyment in mornings. College, especially, has made me crave sleeping in more and more often. While I definitely believe that sleeping in is totally fine, it doesn't need to be an everyday thing. 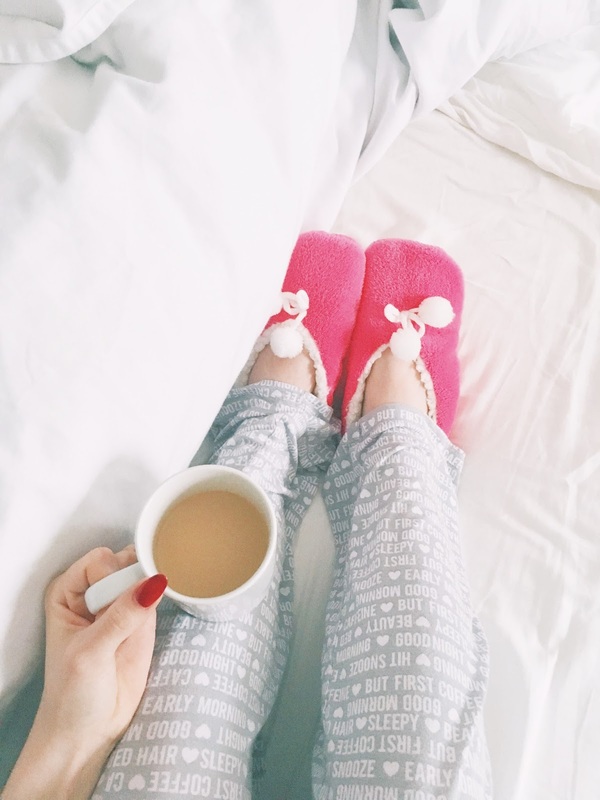 I have a few tips for starting your day off right in the mornings! I'm a big believer in routines. 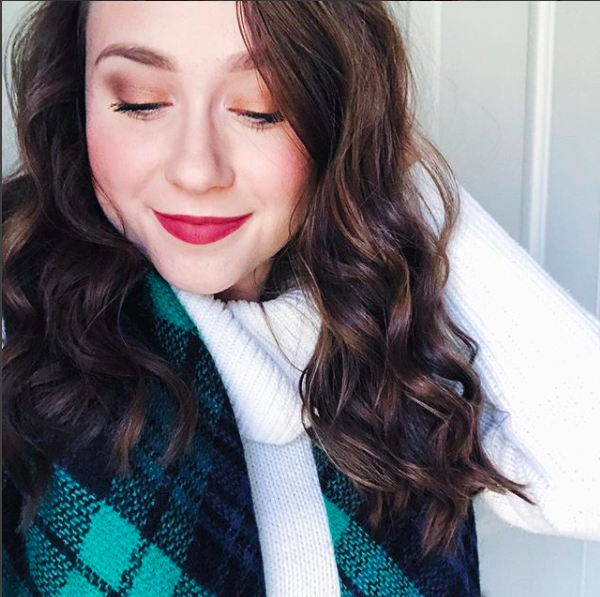 One of my most popular blog posts, My College Morning Routine, goes into detail about my morning rituals. Since you can simply go read that post, I'm not going to go into detail in this post. 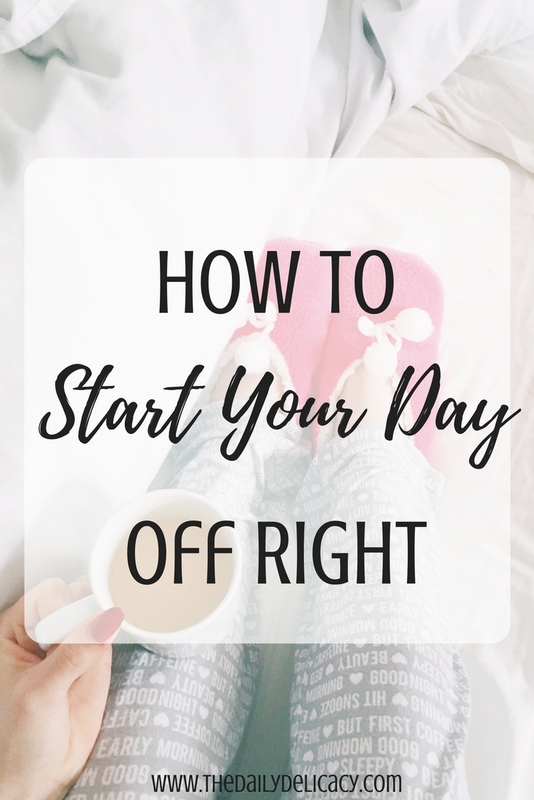 I do, however, recommend that you check out that post for some inspiration on how to cultivate your very own morning routine! 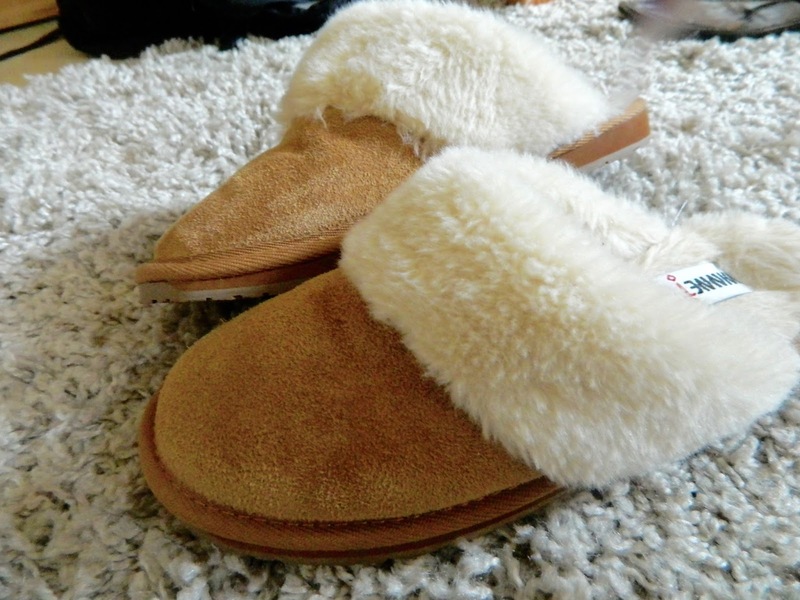 These slippers are my absolute favorite to slip into in the mornings! I'm a firm believer in the power of positive thinking. If you wake up in the morning dreading the day ahead, then your day will probably be just that: dreadful. Instead, try thinking about something exciting you'll do that day, something you're looking forward to (even if it's as simple as your morning coffee or lunch with a friend), or something you're grateful for. You'd be surprised how much some positive thinking at the beginning of the day can change your attitude! I often like to start off my day with a to-do list. Even if I'm basically just hanging around all day, a to-do list gives me a bit of direction regarding what I need to get down. I'll write things like "work on blog post" or "answer emails", on days where I don't have much else going on. 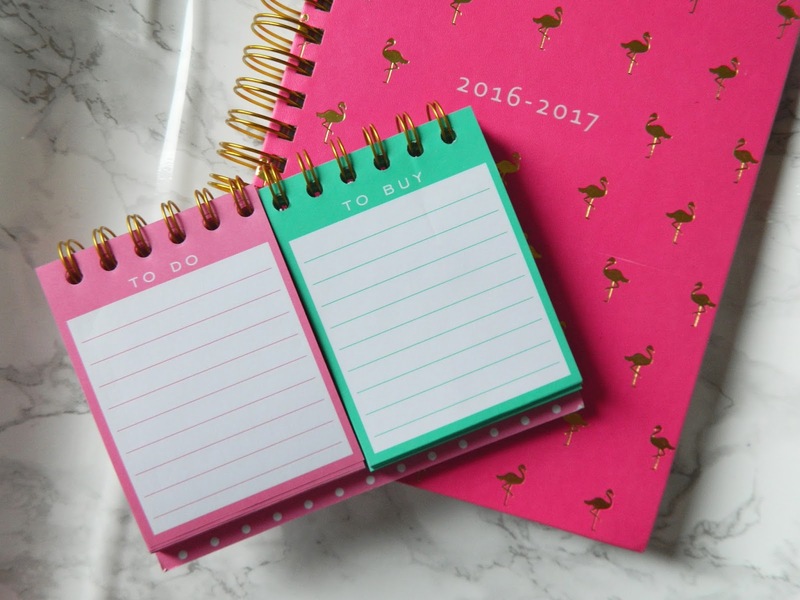 On busier days (especially days when I have a lot of blogging work to get done, along with school and classes), the list will be a bit more substantial of course! 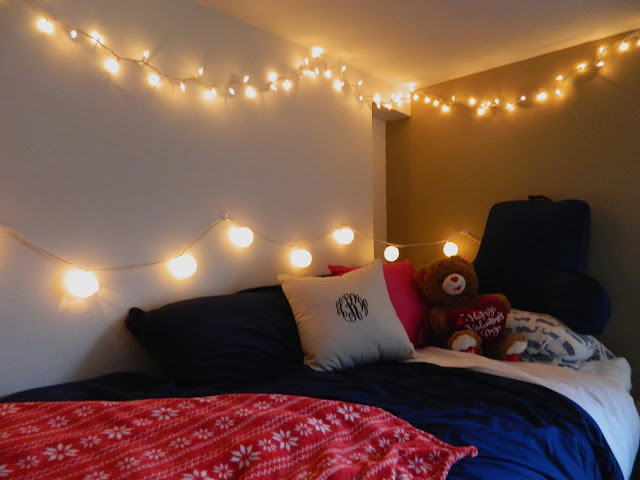 I feel so much better when I make my bed. It's like a little accomplishment before the day has even really begun. I'm also less inclined to crawl back into my bed if it's nicely made. I love putting out all my throw pillows and nicely folding up my throw blankets. Playing music always gets me excited for the day, no matter what I'm doing. I also love the calm feeling of burning a candle. I would recommend doing something that makes you feel good in the morning. Especially when we have a busy day ahead of us, the morning can be a time when we begin to feel unmotivated. Instead, make sure the opposite happens! Instead of letting yourself lay around in bed all day, try to get motivated. How do you start your day off right? I always feel productive when I make my bed in the morning. I will definitely be incorporating these things into my mornings and making the most of my new year!